Marco was born to parents dedicated to the cultivation of coffee, and helped since he was little, from planting to harvest. His parents began cultivating this farm in 1973 and they were able to give their children more through this work. His siblings and he had an easier life and were able to study. He began to partner to his parents in 2011, at which time they sent the coffee to a large coop. 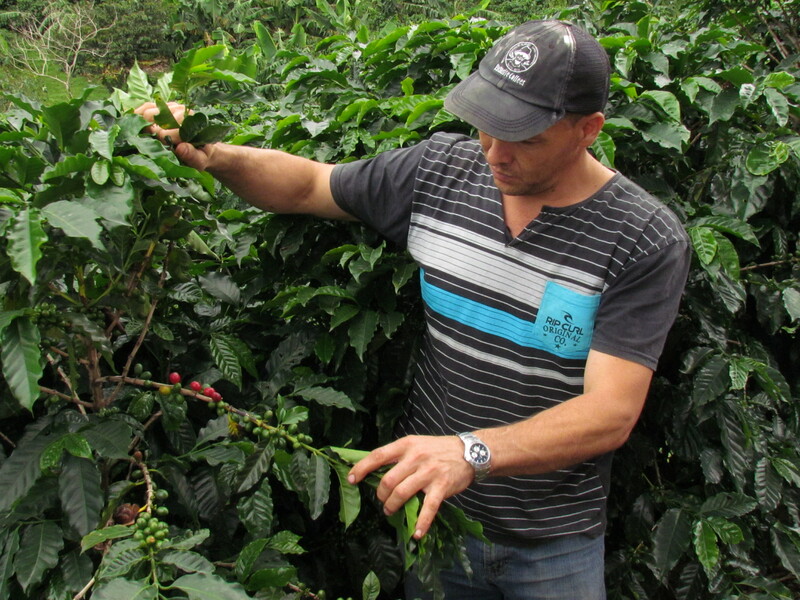 He wondered what flavor our coffee had before it was mixed with other farms’ coffee at the coop, which led him, with the help of his wife, Maricela, his right hand, to take the risk of beginning their own company. They married young and as of 2018 have been married 21 years, with 3 children, Karen, 18, and Daniel and Carlos, 14-year old twins currently in high school. Karen is currently studying medicine in the university, and continues to compete in swimming as does Daniel. Carlos plays soccer. All the kids have and continue to help with the business. They thank God for their family and for this work, as it has made them happy, and for the chance to unite families at their own tables to enjoy their coffee. This high-altitude coffee is graced by the gentle weather of the Central Valley coffee zone. Local farmers care for their land and a diversity of crops surrounding Sircof. Many of these farms border protected forest areas, providing a positive co-existence between sustainable farming and a prospering environment. Sircof specialty coffee starts with a careful collection of the ripe Arabica beans, immediately processed in the artisan wet mill right on their farm. Risking all of their savings, Marco Oviedo faced a terrifying truth. His family coffee farm could not survive if they continued to operate as they had for the prior two generations. Marcos and his wife decided to build a micro mill. With more control of the processing and production chain, they can yield the best possible quality. Marcos found a way to improve their production and cupping scores so they could sell coffee at a fair price and save the family farm.